The greatest advantage of home security gates is that they enhance security (when used together with good fencing). A good gate will prevent unwanted people from entering your property. This is important because you will then be guaranteed of privacy and security. Having a fence and a gate will significantly reduce the premiums you pay in HOI (home owner&#39;s insurance). A gate enables you to determine who to grant access to your home to and who to bar from doing so. This is important in parties and other occasions since you will avoid drama at the door or in the house. Consider investing in home security gates if you live in urban areas since this helps you keep away people who would otherwise park on your property, sometimes preventing you from doing so. With a home security gate, you will be able to grant and deny access to people for parking. A home security gate is important for safety purposes. It will help prevent entry of dogs and other pets as well as small children into your driveway or garden. Note that you will be held liable under the law should a person get injured in your property. With a gate, you will not be forced to keep your power tools and garden implements indoors when you are not around since there is little risk that somebody will get injured on them. Keeping dogs and other pets away is important because they could cause damage to your property by doing such things as digging up the lawn and they could harm your own pets. Home security gates are great as deterrents. An imposing gate will make criminals who are looking to steal think twice about entering your property. This is because there would be too much for them to do to enter and leave your property and in their mind they will think you have other security measures in place if you already have a locked gate. A home security gate requires very little in terms of maintenance. Home security gates are made of different materials and they come in different designs and shapes. These gates also have different features. This means there is something for you, whatever your specific requirements are. Today's home security gates feature cameras. This is an important security feature in that it allows you to monitor who is entering and who is leaving your property. Most gates today are unmanned and are controlled by remote control. 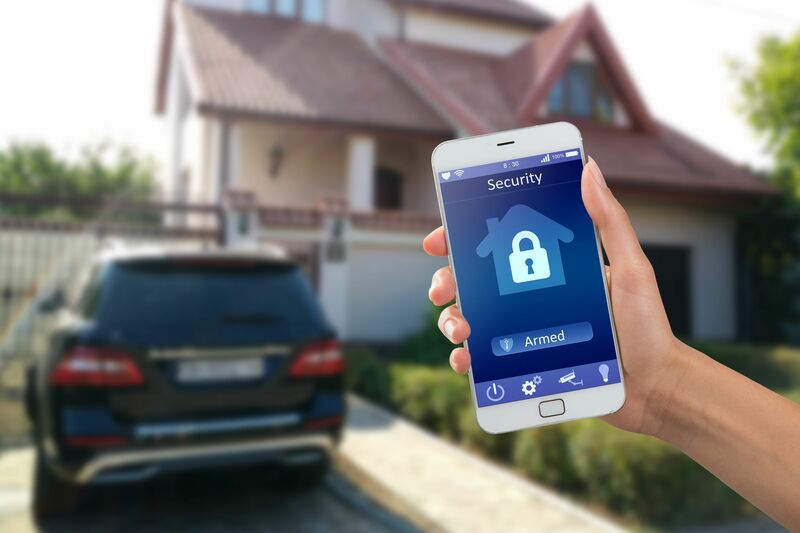 This not only saves you money, but it is an important security feature since you can control who enters and who leaves your property from the comfort and safety of your home. You could have biometric security systems on your gate. You could have a gate that is opened via voice communication or via fingerprint. There are also gates that "recognize" vehicles and that use remote keys. These gates help keep unwanted door-to-door salesmen away. You will enjoy your property more since you will do exactly as you wish with all the privacy, safety, and security in the world. Your kids can play anywhere in the property without you worrying that they will wander away and get lost or worse, kidnapped. With a home security gate, you will have peace of mind knowing that your property and person/s are safe and secure. One of the most overlooked advantages of home security gates is that they have great aesthetic value. This is particularly so for such gates as steel gates and wooden gates. Gates also give a unique grandeur to your home, especially tall gates that swing open to reveal your property. A gate will increase the resale value of your home since potential buyers will see the property as being safe, private, and secure.